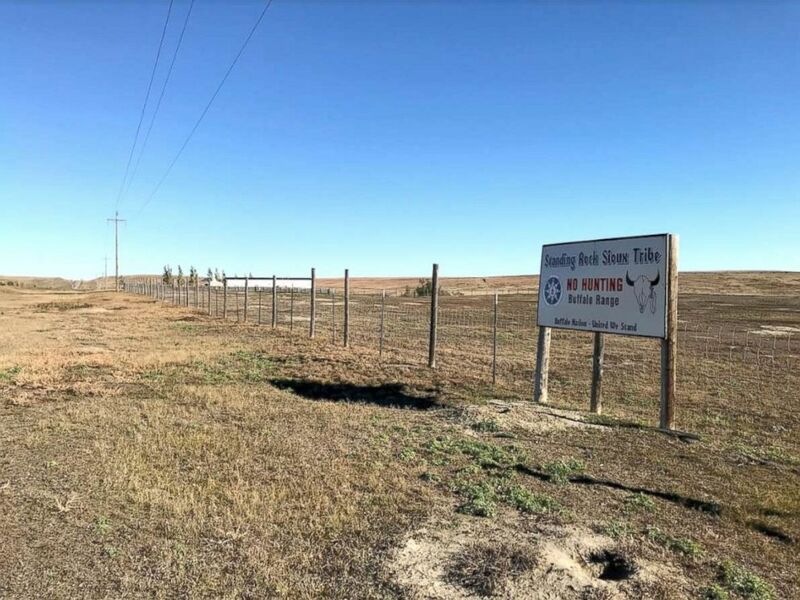 Courtney Yellow Fat, a tribal council member for the Standing Rock Sioux Tribe, has lived on a reservation for most of his life -- a community which historically hasn't used street names or addresses and instead relies on post office boxes. So, a few years back when he made the 90-minute trek to the state capital of Bismarck to the department of motor vehicles for an updated license, he felt he had no choice but to make up one on the spot. "Sitting Bull Street, I think," he said of the street address he gave for his state-issued driver's license. His tribal issued ID is correct because he has since gotten an actual street address listed for 911 purposes and he plans to add that address to his driver's license. Still, it's a complicated matter for thousands of Native American voters in North Dakota who, because the Supreme Court last week allowed the state to implement its strict voter ID law, now find themselves scurrying to make sure they have identification with street address so their votes will count. According to studies commissioned by Native American rights groups who sued North Dakota over the new law, roughly 35 percent of that population doesn't have an acceptable ID with a residential address. Courtney Yellow Fat talks about North Dakota's voter ID law at Standing Rock Tribal Headquarters in Fort Yates, N.D. Nevertheless, Yellow Fat and other tribal leaders are optimistic that the ruling will galvanize Native American voter turnout. "I believe and I hope it's going to have the opposite effect of suppression because the people here are so used to fighting uphill battles against the U.S. government," he said. The question of whether Native American votes will be counted is an especially relevant one in the upcoming midterms because, in less than three weeks, Yellow Fat and Native Americans across North Dakota will be among the nation’s most important groups in an election likely to help determine Senate control. North Dakota’s voters are the most powerful in the country, according to FiveThirtyEight’s voter power index. A vote in North Dakota has more influence on which party will control the Senate majority than a vote in any other state, a point not lost on Yellow Fat. “After the election of Sen. Heitkamp is when a lot of this came up through the legislature. And to us it’s clearly suppression of our votes,” Yellow Fat said. The ability to have those Native American voters' ballots count is especially important for Democratic Sen. Heidi Heitkamp's re-election bid. She won her first election in 2012 by fewer than 3,000 votes thanks in part to Native American voters who cast their ballots under less restrictive voting laws. The court decision makes her already tough re-election bid against popular Republican Rep. Kevin Cramer even harder than it already has been. A sign warns passersby not to hunt in a buffalo range on the Standing Rock Indian Reservation near Fort Yates, N.D. Native Americans comprise 2 percent of the national population, but make up a larger share of North Dakota’s population at just over 5 percent. The state is also home to five reservations, which often vote in large numbers for Democrats and serve as a chunk of the state Democratic Party’s base. Secretary of State Al Jaeger, the defendant in the voter ID lawsuit, told ABC News voter suppression is not the intent of his office or the voter ID law. Jaeger said his office is entirely focused on making voting accessible to anyone who wants to do so. Heitkamp countered Jaeger’s view in an interview with ABC News after Thursday night’s Senate debate. She said the law by its nature blatantly disenfranchises Native Americans by requiring a residential street address. “Why would we ever disenfranchise a Native American veteran who only has a P.O. box that everybody knows when they walk into the polling booth, they know exactly who that person is, they know that they're a North Dakota resident. That's why we don't have registration in North Dakota because we don't have this problem and anyone who says this isn't about disenfranchising Native Americans is not being honest,” the senator said. Jaeger said that the PO box requirement was meant for the state to verify that voters who live in a given precinct get a ballot specific to where they live and that votes are not supposed to be cast by people who do not actually live in the precinct. Although a lower court sided with the Native Americans before the state’s June primary, the 8th Circuit Court of Appeals and the Supreme Court have both ruled in recent weeks that the state can move ahead with its law for its stated purpose, namely combatting voter fraud. Voter fraud, however, has been virtually nonexistent in North Dakota, with the Secretary of State’s office saying that the number of fraudulent voter cases found have been in the single digits in both the 2012 and 2016 elections. Jaeger, however, said that the numbers do not mean they can rule out the existence of voter fraud, citing voters in 2016 who voted without IDs and were unable to be matched by his office, in the weeks after the election, back to a home address they’d written down when they voted. “Their ballot was counted and we can't find them anymore. From my position that's a concern. Because that means the integrity of the election may have been compromised,” Jaeger said. The first effort at a voter ID law in North Dakota passed in 2013, within a few months of Heitkamp’s victory. A court win by tribal members prevented the law from taking effect for the 2016 election. Last year, the Republican legislature worked with the secretary of state’s office on a new bill. The bill allowed voters without an ID showing a residential address to vote, but would only count their vote if they could prove their address to election officials within six days of the election. Tribal activists submitted to the state legislature statistics detailing Native Americans’ difficulty in getting an acceptable ID. The bill passed with overwhelming support from the Republican majority. 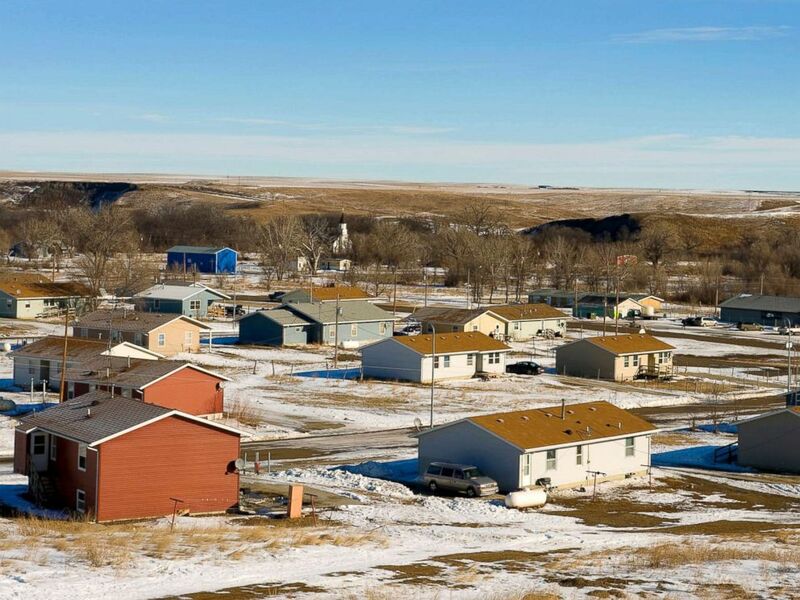 A view of Wakpala, one of Standing Rock's eight districts. Court documents indicate the state did not consult with tribal governments about the impact of the bill on Native Americans, even after tribal members won their 2016 case. Activists have accused Republican legislators and state election officials of erecting barriers to voting for the state’s mostly Democratic Native American population. North Dakota’s two majority-Native American counties both supported Heidi Heitkamp with nearly 80 percent of the vote when she first ran in 2012. In a statement this week, the leaders of the four largest tribes in North Dakota opposed the law, calling it “suppressive” and accused the state of attempting to disenfranchise Native American voters. “We believe the requirement of a physical, residential property with a street address was intended to disenfranchise Native American voters. To combat the disenfranchisement of our members, we intend to ensure that our members that lack residential street addresses can obtain them so that they may exercise their right to vote,” the statement read. Heitkamp and Cramer both addressed the voter ID ruling in their debate Thursday night. Heitkamp accused the state legislature of deciding that “there are certain people in North Dakota that they don’t want to vote,” and that the law countered the state’s values, expressing hope that votes from Native Americans will count. Jaeger said it should be up to the tribes to provide proper qualifying identification to citizens on the reservation who have not sought them. In an interview with ABC News, Mike Faith, chairman of the Standing Rock Sioux Tribe, said he expected people to see the court ruling as a challenge that will drive people to come to the polls. “With this ruling, I think it actually energized more people to go out. They want to be challenged for not voting, I think they’re going to go meet that challenge and I think they’re going get out to the polls. That is our outlook,” Faith said. But others on the reservation are wary. 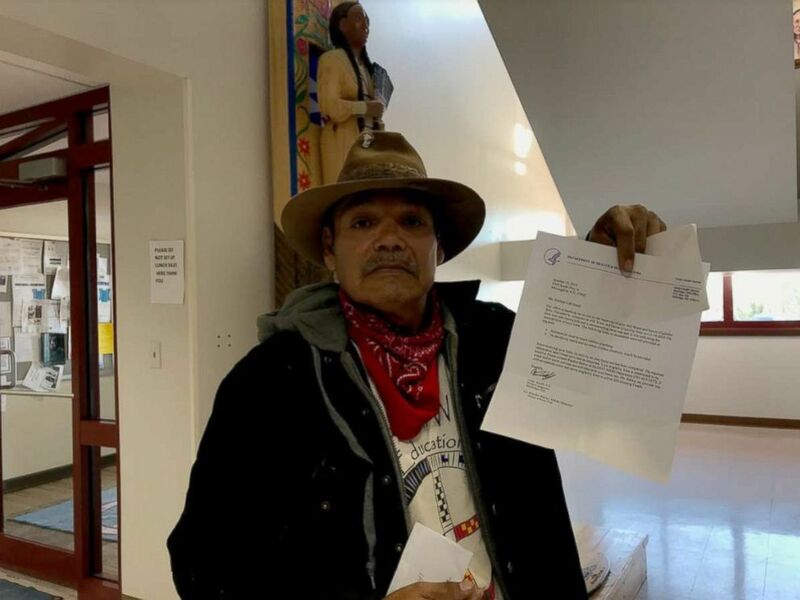 Bill Left Hand, who has lived on the reservation most of his life with his five children — and now their children, said he is concerned people may not be able to vote because of the address requirement. But he expressed approval for the tribe’s efforts to increase awareness about the new law. “Standing Rock tribe is making every effort they can to inform the people of that and I’m also encouraging a lot of people to get out and get their address updated and to come and vote because that’s what we need, our voices to be heard most of all,” he said. 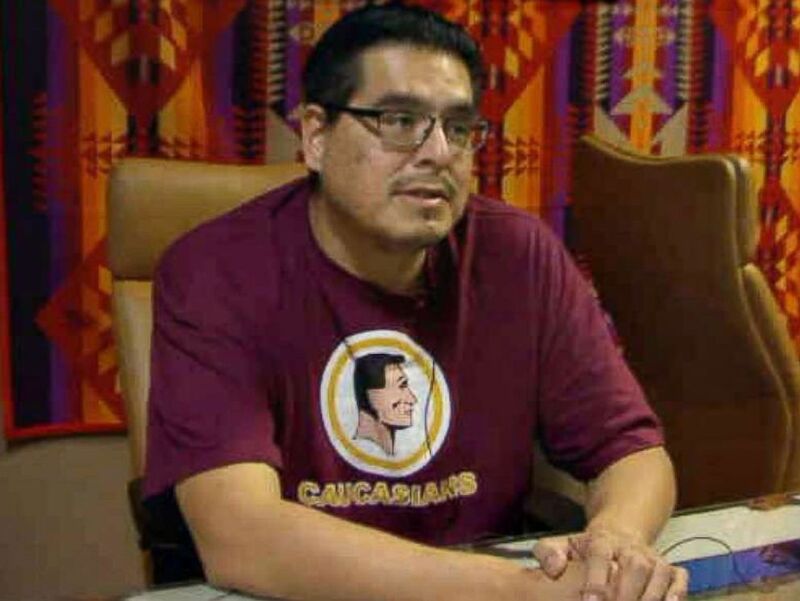 Faith and other tribal leaders in North Dakota are coordinating ahead of election day to ensure that Native Americans on the state’s five reservations will be able to vote. Four Directions, a Native American voting rights advocacy group, has put forward a proposal agreed to by tribal leaders to help residents secure acceptable forms of ID to present at the polls. Semans says his message for the state and people outside North Dakota is that the tribes will vote. Once we confront Slavery and the Annexation of Mexico, we will finally be ready to acknowledge indigenous genocide. When that Golden Day comes, the USA will finally have reached its potential and be a true example for the world. What bothers me in the age of digital media and every other media is that the Native American population still wants to remain in the margins. Elizabeth Warren gave Native Americans the bully pulpit and they turned it down in favor of the Great White Father in Washington. Freedom is never given; it is taken.